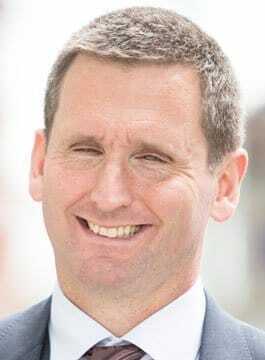 Chris Holmes MBE – Lord Holmes of Richmond is Britain’s most successful Paralympic swimmer ever. He won 9 gold medals (6 at a single games), a string of World and European titles and broke 35 World Records. Despite losing his sight overnight aged only 14, Chris Holmes gained straight A’s at A-level and a place at Cambridge University to read politics. Whilst at University, Chris won 6 gold medals at the Barcelona Games in 1992, a feat never equaled by any Briton. He went on to compete in Atlanta in 1996 and Sydney in 2000 winning a further 3 gold medals. In 2013 Chris entered the House of Lords as Lord Holmes of Richmond, focusing his time on employment, education and skills, media and sport, and the digital opportunity. Chris is co-chair of the Parliamentary Group on Assistive Technology and vice-chair of the Fintech Group. He has been a member of House of Lords Select Committees on Digital Skills, Social Mobility and Financial Exclusion. Chris is also Diversity Adviser to the civil service, non-executive director at Channel 4 and deputy Chancellor at BPP University. Chris was Director of Paralympic Integration at the London 2012 Organizing Committee of the Olympic and Paralympic Games (LOCOG); responsible for a Paralympic Games that was the first to ensure all Olympic sponsors also signed to Paralympics and sell out all stadia for every session. From 2013-2017 Chris was non-executive director at the Equality and Human Rights Commission. Chris Holmes has also worked as a lawyer, freelance journalist and broadcaster at sporting events across the world. Chris’ presentation takes his audience on the journey from childhood dream to sporting success, from loss of sight over night aged 14 to gold medallist and World record holder aged 20. His story focuses on goal setting, personal leadership, performance, building and maintaining a team, and crucially, being able to react, refocus and rebuild to adapt to often traumatic change. Within 3 months of losing his sight, Chris was back in the pool training alongside his fully sighted club mates. Only a year later he was competing at the junior European Championships in Moscow where he, by his own admission, was thoroughly beaten. Returning from Moscow Chris refocused his goals and leading from within built a team around him to attempt to achieve a unique feat 5 years later at the Barcelona Games. Chris’ story continually reinforces the importance of constant scrutiny and re-evaluation of oneself, personal and team goals and the need for decisive, often difficult, decisions to be taken and committed to. Chris’ story demonstrates that though the goals can be clearly committed to at the outset, the subsequent journey is seldom straight forward. It is how we choose to react to those forks in the road which makes all the difference. Chris’ presentation concludes with a challenge to his audience: to look inside themselves, to understand what is possible to achieve, how this will involve individual leadership, playing several parts in different teams and ultimately achieving their individual and shared potential. Chris’ use of humour is infectious, drawing his audience into the story, enabling them to think the unthinkable, face down their fears and grasp the opportunities. Chris’ story is about striving for excellence as individuals, as teams. Through his experiences in sport and business he is able to fundamentally understand what it takes to motivate, to commit to a path and to deliver be this in the pool, on the shop floor or in the board room. Chris’ career demonstrates the need to understand the need for continuous evaluation and cultural change, often against a majority committed to the status quo. He demonstrates not only that change is essential if an organisation is not to fall off the pace or fail to hit it’s targets, but it is the most positive force which any individual or organisation can embrace. "Chris' presentation was excellent, we couldn't have asked for anything more. His content couldn't have been more perfect. He drew together the key threads of our conference in a way that felt very personal and relevant to the audience." "Chris was, as always, fabulous – he really understood what we were trying to achieve and the key points our delegates needed to know. He linked it fantastically well to his own experiences. He was a real hit and his humour had everyone in stitches." "Chris was superb, he tailored his message to our business goals which was exactly what we wanted." "Excellent, Chris has a very relaxed and engaging style - our guests warmed to him immediately. He is very perceptive about the audience present and adapted his talk to suit them - a very unique man in that respect. He was humorous and thought provoking and did exactly what we asked him to do." "The feedback we have received so far has been excellent. Chris was described as inspirational, humorous and ‘a very nice chap’! Two people said to me today that he is the best speaker we have ever had!"